Spiritual Daughter of Archbishop Marcel Lefebvre. Faithful to Eternal Rome. Fighting with the spirit of St. Joan of Arc for the True Faith. Death being the punishment of sin, it would seem that the Divine Mother —- all holy, and exempt as she was from its slightest stain —- should also have been exempt from death, and from encountering the misfortunes to which the the children of Adam, infected by the poison of sin, are subject. But God was pleased that Mary should in all things resemble Jesus; and as the Son died, it was becoming that the Mother should also die; because, moreover, He wished to give the just an example of the precious death prepared for them, He willed that even the most Blessed Virgin should die, but by a sweet and happy death. Let us, therefore, now consider how precious was Mary’s death: first, on account of the special favors by which it was accompanied; secondly, on account of the manner in which it took place. There are three things that render death bitter: attachment to the world, remorse for sins, and the uncertainty of salvation. The death of Mary was entirely free from these causes of bitterness, and was accompanied by three special graces, which rendered it precious and joyful. She dies as she had lived, entirely detached from the things of the world; she died in the most perfect peace; she died in the certainty of eternal glory. And in the first place, there can be no doubt that attachment to earthly things, renders the death of the worldly bitter and miserable, as the Holy Ghost says: O death, how bitter is the remembrance of thee to a man who hath peace in his possessions! But because the Saints die detached from the things of the world, their death is not bitter, but sweet, lovely, and precious; that is to say, as St. Bernard remarks, worth purchasing at any price, however great. Blessed are the dead who die in the Lord. Who are they who, being already dead, die? They are those happy souls who pass into eternity already detached, and so to say, dead to all affection for terrestrial things; and who, like St. Francis of Assisi, found in God alone all their happiness, and with him could say, “My God and my all.” But what soul was ever more detached from earthly goods, and more united to God, than the beautiful soul of Mary? She was detached from her parents; for at the age of three years, when children are most attached to them, and stand in the greatest need of their assistance, Mary with the greatest intrepidity, left them, and went to shut herself up in the Temple to attend to God alone. She was detached from riches, contenting herself to always live poor, and supporting herself with the labor of her own hands. She was detached from honors, loving a humble and abject life, though the honors due to a queen were hers, as she was descended from the kings of Israel. 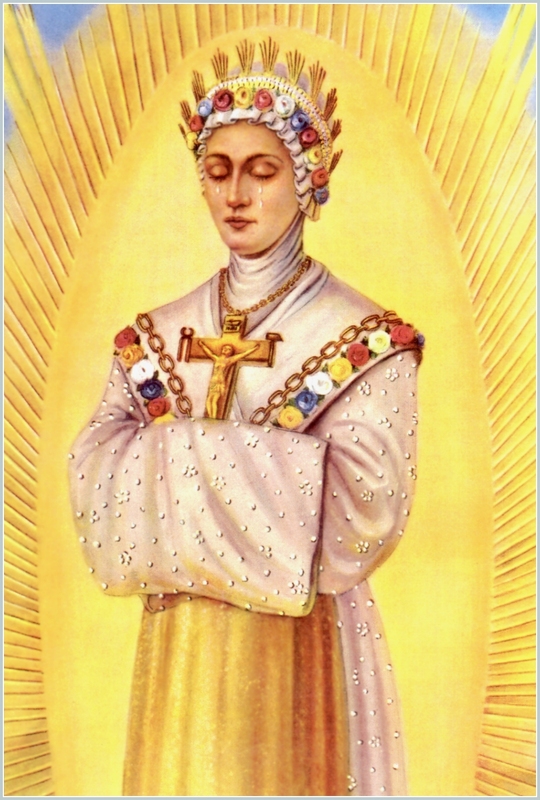 The Blessed Virgin herself revealed to St. Elizabeth of Hungary, that when her parents left her in the Temple. she resolved in her heart to have no father, and to love no other good than God. St. John saw Mary represented in that woman, clothed with the sun, who held the moon under her feet. And a great sign appeared in Heaven: a woman clothed with the sun, and the moon under her feet. Interpreters explain the moon to signify the goods of this world, which like her, are uncertain and unchangeable. Mary never had these goods in her heart, but always despised them and trampled them under her feet; living in this world as a solitary turtle in a desert, never allowing her affection to center itself in any earthly thing; so that of her it was aid: The voice of the turtle is heard in our land. And elsewhere: Who is she that goeth up by the desert? When the Abbot Rupert says, “Thus didst thou go by the desert; that is, having a solitary soul.” Mary, then, having lived always and in all things detached from the earth, and united to God alone, death was not bitter, but on the contrary, very sweet and dear to her; since it united her more closely to God in Heaven, by an eternal bond. Peace of mind renders the death of the just precious. Sins committed during life are the worms that so cruelly torment and gnaw the hearts of poor dying sinners, who, about to appear before the Divine tribunal, see themselves at that moment surrounded by their sins, which terrify them, and cry out according to St. Bernard, “we are thy works; we will not abandon thee.” Mary certainly could not be tormented at death by any remorse of conscience, for she was always pure, and always free from the least shade of actual or Original Sin; so much so, that of her it was aid, Thou art all fair, O my love, and there is not a spot in thee. from the moment that she had the use of reason, that is, from the first moment of her Immaculate Conception in the womb of St. Anne, she began to love God with all her strength, and. continue do so, always advancing more and more throughout her whole life in love and perfection. And all her thoughts, desires, and affections were of and for God alone; she never uttered a word, made a movement, cast a glance or breathed, but for God and His glory ; and never departed a step or detached herself for a single moment from the Divine love. Ah, how did all the lovely virtue that she had practiced during life surround her blessed bed in the happy hour of her death! That faith so constant; that loving confidence in God; that unconquerable patience in the midst of so many sufferings; that humility in the midst of so many privileges; that modesty; that meekness; that tender compassion for souls; that insatiable zeal for the glory of God; and, above all, that most perfect love towards Him, with that entire conformity to the Divine will: all, in a word, surrounded her and consoling her, said: “We are thy works; we will not abandon thee.” Our Lady and Mother, we are all daughters of thy beautiful heart; now that thou a leaving this miserable life, we will not leave thee; we also will go, and be thy eternal accompaniment and honor in Paradise, where, by our means thou wilt reign as Queen of all men and of all Angels. III. Finally, the certainty of eternal salvation renders death sweet. Death is called a passage; for by death we pass from a short to an eternal life. And as the dread of those is indeed great who die in doubt of their salvation, and who approach the solemn moment with welI-grounded fear of passing into eternal death; thus on the other hand, the joy of the Saints is indeed great at the close of life, hoping with some security to go and possess God in Heaven. A nun of the Order of St. Teresa, when the doctor announced to her her approaching death, was so filled with joy that she exclaimed, ” O how is it, sir, that you announce to me such welcome news, and demand no fee?” St. Laurence Justinian, being at the point of death, and perceiving his servants weeping round him, said: “Away, away with your tears; this is no time to mourn.” Go elsewhere to weep; if you would remain with me, rejoice, as I rejoice, in seeing the gates of Heaven open to me, that I may be united to my God. Thus also a St. Peter of Alcantara, a St. Aloysius Gonzaga, and so many other Saints, on hearing their death was at hand, burst forth into exclamations of joy and gladness. And yet they were not certain of being in possession of Divine grace, nor were they secure of their own sanctity, as Mary was. Of Mary it had already been asked in the sacred canticles, Who is she that goeth up by the desert, as a pillar smoke, of aromatical spices, of myrrh, and frankincense, allthe powders of the perfumer? 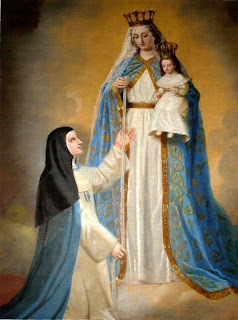 Her entire mortification typified by the myrrh, her fervent prayers signified by the incense, and all her holy virtues united to her perfect love for God, kindled in her a flame so great that her beautiful soul, wholly devoted to and consumed, by Divine love, arose continually to God as a pillar of smoke, breathing forth on every side a most sweet odor. “Such smoke, nay even such a pillar of smoke,” says the Abbot Rupert, “Hast thou, O Blessed Mary, breathed forth a sweet odor to the Most High.” Eustachius expresses it in still stronger terms: “A pillar of smoke, because burning interiorly as a holocaust with the flame of Divine love, she sent forth a most sweet odor.” As the loving Virgin lived, so did she died. As Divine love gave her life, so did it cause her death; for the Doctors and holy Fathers of the Church generally say she died of no other infirmity than pure love; St. Ildephonsus says that Mary either ought not to die, or only die of love. But now let us see how her blessed death took place. 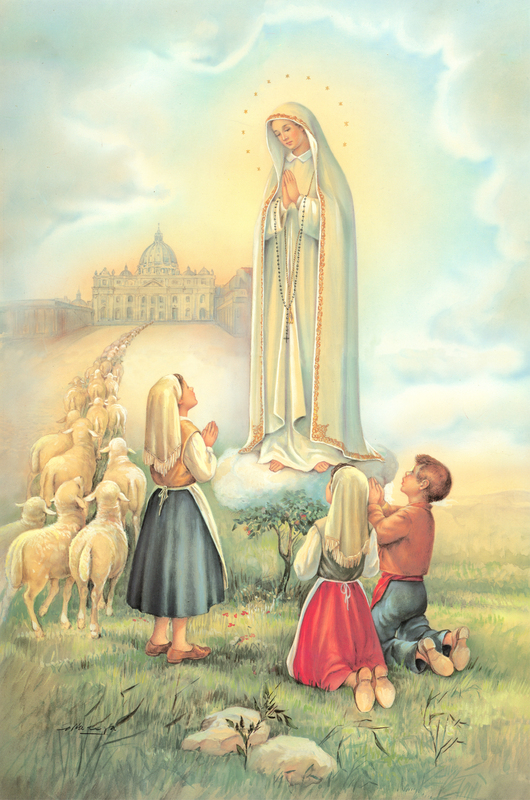 After the ascension of Jesus Christ, Mary remained on earth to attend to the propagation of the faith. Hence the disciples of our Lord had recourse to her, and she solved their doubts, comforted them in their persecutions, and encouraged them to labor for the Divine glory and the salvation of redeemed souls. She willingly remained on earth, knowing that such was the will of God, for the good of the Church; but she could not but. feel the pain of being far from the presence and sight of her beloved Son, who had ascended to Heaven. Where your treasure is, there Will your heart be also, said the Redeemer. Where anyone believes his treasure and his happiness to be, here he always holds the love and desires of his heart fixed. If Mary, then, loved no other good than Jesus, He being in Heaven, all her desires were in Heaven. The most holy Virgin consoled her loving heart during this painful separation by visiting, as it is related, the holy places of Palestine, where her Son had been during His life. She frequently visited —- at one time the stable at Bethlehem, where her Son was born; at another, the workshop of Nazareth, where her Son had lived so many years poor and despised; now the Garden of Gethsemani, where her Son began His Passion; then the Prætorium of Pilate, where He was scourged, and the spot on which He was crowned with thorns; but visited most frequently the Mount of Calvary, where her Son expired; and the Holy Sepulchre in which she had finally left Him: thus did the most loving Mother soothe the pains of her cruel exile. But this could not be enough to satisfy her heart, which was unable to find perfect repose in this world. Hence she was continually sending up sighs to her Lord, exclaiming with David: Who will giveth me wings like a dove, and I will fly and be at rest? Who will give me wings like a dove, that I may fly to my God, and there find my repose? As the heart panteth after the fountains of water, so my soul panteth after Thee, my God. As the wounded stag pants for the fountain, so does my soul, wounded by Thy love, O my God, desire and sigh after Thee. Yes, indeed, the sighs of this holy turtle-dove could not but deeply penetrate the heart of her God, Who indeed so tenderly loved her. The voice of the turtle heard in our land. Wherefore being unwilling to de any longer the so-much-desired consolation of His beloved, behold, He graciously hears her desire, and calls her to His Kingdom. Cedrenus, Nicephorus, and Metaphrastes, relate some days before her death. our Lord sent her the Archangel Gabriel, the same that announced to her that she was that blessed woman chosen to be the Mother of God: ” My Lady and Queen,” said the Angel, ” God has already graciously heard thy holy desires, and has sent me to tell thee to prepare thyself to leave the earth: for He wills thee in Heaven. Come, then, to take possession of thy kingdom; for it and all its holy inhabitants await and desire thee.,” On this happy annunciation, what else could our most humble and most holy Virgin do, but, with the most profound humility, answer in the same words in which she had answered St. Gabriel when he announced to her that she was to become the Mother of God: Behold the handmaid of the Lord. Behold, she answered again, the slave of the Lord, He in His pure goodness chose me and made me His Mother; He now calls me to Paradise. I did not deserve that honor, nor do I deserve this, but since He is pleased to show in my person His infinite liberality, behold, I am ready to go where He pleases. Behold the handmaid of the Lord. May the will of my God and Lord be ever accomplished in me! After receiving this welcome intelligence she imparted it to St. John. We may well imagine with what grief and tender feelings he heard the news; he who for so many years had attended upon her as a son, and had enjoyed the Heavenly conversation of this most holy Mother. She then once more visited the holy places of Jerusalem, tenderly taking leave of them, and especially of Mount Calvary, where her beloved Son had died. She then retired into her poor cottage, there to prepare for death. But already the death of Mary is at hand; Divine love, with its vehement and blessed flames, had already almost entirely consumed the vital spirits; the Heavenly phoenix is already Iosing her life in the midst of this fire. Then the host of Angels come in choirs to meet her, as if to be ready for the great triumph with which they were to accompany her to Paradise. Mary was indeed consoled at the sight of these holy spirits, but was not fully consoled; for she did not yet see her beloved Jesus, Who was the whole love of her heart. Hence she often repeated to the Angels who descended to salute her: I adjure you, O daughters of Jerusalem, if you find my Beloved, that you tell Him that I languish with love. Holy Angels, O fair citizens of the Heavenly Jerusalem, you come in choirs kindly to console me; and you all console me with your sweet presence. I thank you; but you do not fully satisfy me, for as yet I do not see my Son coming to console me; go, if you love me, return to Paradise, and on my part tell my Beloved that I anguish with love. Tell Him to come, and to come quickly, for I am dying with the vehemence of my desire to see Him. The life of Mary being now at its close, the most delicious music, as St. Jerome relates, was heard in the apartment where she lay; and, according to a revelation of St. Bridget, the room was also filled with a brilliant light. The sweet music, and the unaccustomed splendor, warned the holy Apostles that Mary was departing. This caused them again to burst forth in tears and prayers; and raising their hands, with voice they exclaimed, O, Mother, thou already goest to Heaven; thou leavest us; give us thy last blessing and never forget us miserable creatures.” Mary, turning her eyes around upon all, as if to bid the last farewell, said, ” Adieu, my children; I bless you, fear not, I will never forget you.” And now death came; not indeed clothed in mourning and grief, as it does to others, but adorned with light and gladness. But what do we say? Why speak of death? Let us rather say that Divine love came, and cut the thread of that noble life. And as a light, before going out, gives a last and brighter flash than ever, so did this beautiful creature, on hearing her Son’s invitation to follow him, wrapped in the flames of love, and in the midst of her amorous sighs, give a last sigh of still more ardent love, and breathing forth her soul, expired. Thus was that great soul, that beautiful dove of the Lord, loosened from the bands of this life; thus did she enter into glory of the blessed, where she is now seated, and will be seated, Queen of Paradise, for all eternity. Mary, then, has left this world; she is now in Heaven. Thence does this compassionate Mother look down upon us who are still in this valley of tears. She pities us, and, if we wish it, promises to help us. Let us always beseech her by the merits of her blessed death to obtain us a happy death; and should such be the good pleasure of God, let us beg her to obtain us grace to die on a Saturday, which is a day dedicated in her honor, or on a day of a novena, or within the octave of one of her feasts; for this she has obtained for so many of her clients, and especially for St. Stanislaus Kostka, for whom she obtained that he should die on the feast of her Assumption, as Father Bartoli relates in his life of the Saint. During his lifetime this holy youth, who was wholly dedicated to the love of Mary, happened, on the first of August, to hear a sermon preached by Father Peter Canisius, in which, exhorting the novices of the Society, he urged them all, with the greatest fervor, to live each day, as if it were the last of their lives, and the one on which they were to be presented before God’s tribunal. After the sermon St. Stanislaus told his companions that that advice had been for him. in an especial manner, the voice of God; for that he was to die in the course of that very month. It is evident, from what followed, that he said this either because God had expressly revealed it to him, or at least because He gave him a certain internal presentiment of it. Four days afterwards the blessed youth went with Father Emanuel to St. Mary Major’s. 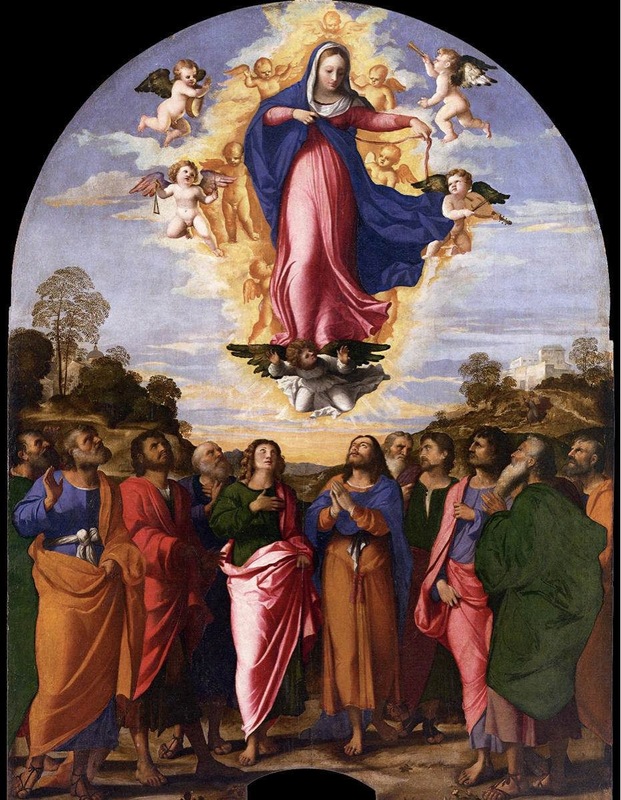 The conversation fell on the approaching feast of the Assumption, and the saint said, “Father, I believe that on that day a new Paradise is seen in Paradise, as the glory of the Motiler of God, crowned Queen of Heavens and seated so near to our Lord, above all the choirs of Angels, is seen. And if —- as I firmly believe it to be —- this festival is renewed every year, I hope to see the next.” The glorious Martyr St. Lawrence had fallen by lot to St. Stanislaus as his patron for that month, it being customary in the Society thus to draw lots for the monthly patrons. It is said that he wrote a letter to his Mother Mary, in which he begged her to obtain him the favor to be present at her next festival in Heaven. On the feast of St. Lawrence he received the holy Communion, afterwards entreated the Saint to present his letter to the Divine Mother, and to support his petition with intercession, that the most Blessed Virgin might graciously accept and grant it. Towards the close of that very day he was seized with fever; and though the attack was slight, he considered that certainly he had obtained the favor asked for. This indeed he joyfully expressed, and with a smiling countenance, on going to bed, said, “From this bed I shall never rise again.” And speaking to Father Claudius Aquaviva, he added, “Father, I believe that St. Lawrence has already obtained for me the favor from Mary to be in Heaven on the feast of her Assumption.” No one, however, took much notice of his words. On the vigil of the feast his illness still seemed of little consequence, but the Saint assured a brother that he should die that night. “O brother, ” the other answered, “it would be a greater miracle die of so slight an illness than to be cured.” Nevertheless in the afternoon he fell into a deathlike swoon; cold sweat came over him; and he lost all his strength. The Superior hastened to him, and Stanislaus entreated him to have him laid on the bare floor, that he might die as a penitent. To satisfy him, this was granted: he was laid on a thin mattress on the ground. 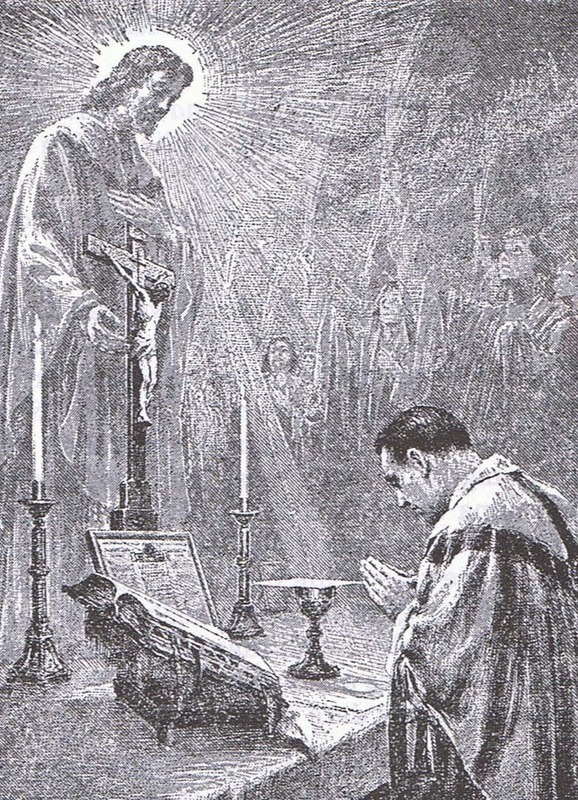 He then made his confession, and in the midst of the tears of all present received the Viaticum: I say, of the tears of all present, for when the Divine Sacrament was brought into the room his eyes brightened up with celestial joy, his whole countenance was inflamed with holy love that he seemed like a seraph. He also received Extreme Unction, and in the meanwhile did nothing but constantly raise his eyes to Heaven and lovingly press to his heart an image of Mary. 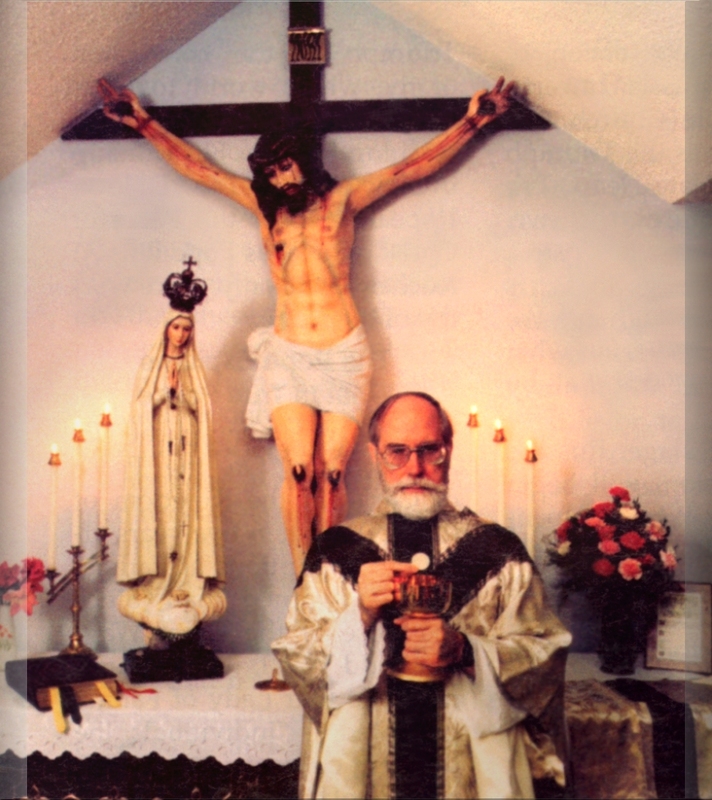 A Father asked him to what purpose he kept a rosary in his hand, since he could not use it? He replied, ” It is a consolation to me, for it is something belonging to my Mother.” ” O, how much greater will your consolation be,” added the Father, ” when in a short time you will see her and kiss her hands in Heaven!” On hearing this, the Saint, with his countenance all on fire, raised his hands to express his desire soon to be in her presence. His dear Mother then appeared to him, as he himself told those who surrounded him; and shortly afterwards, at the dawn of day on the fifteenth of August, with his eyes fixed on Heaven, he expired like a Saint, without the slightest struggle; so much so, that it was only on presenting him the image of the Blessed Virgin, and seeing that he made no movement towards it, that it was perceived that he was already gone to kiss the feet of his beloved Queen in Paradise. O most sweet Lady and our Mother, thou hast already left the earth and reached thy Kingdom, where, as Queen, thou art enthroned above all the choirs of Angels, as the Church sings : Sheis exalted above the choirs of Angels in the celestIal Kingdom, We well know that we sinners are not worthy to possess thee in this valley of darkness; but we also know that thou, in thy greatness, hast never forgotten, us miserable creatures, and that by being exalted to so great glory thou hast lever lost compassion for us poor children of Adam; nay, even that it is increased in thee. From the high throne, then, to which thou art exalted, turn, O Mary, thy compassionate eyes upon us, and pity us. Remember, also, that in leaving this world thou didst promise not to forget us. Look at us and succor us. 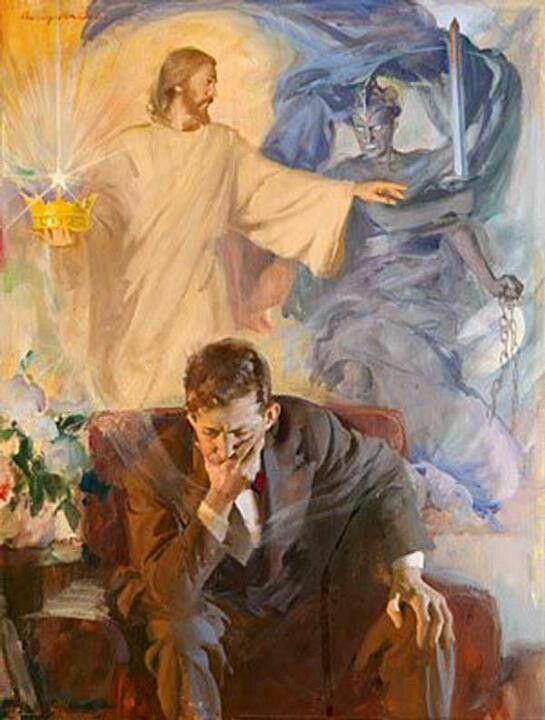 See in the midst of what tempests and dangers we constantly are, and shall be until the end of our lives, By the merits of thy happy death obtain for us holy perseverance in the Divine friendship, that we may finally quit this life in God’s grace; and thus we also shall one day come to kiss thy feet in Paradise, and unite with the blessed spirits in praising thee and singing thy glories as thou deservest. Amen. This entry was posted in Assumption of Our Lady and tagged Catholic, Our Lady on August 17, 2015 by damselofthefaith. Congratulations to the 7 newly ordained Priests for the US District! She who asked that we make the First Saturdays in reparation for the many outrages and sacrileges She receives. Ora pro nobis! For the "restoration of all things in Christ." 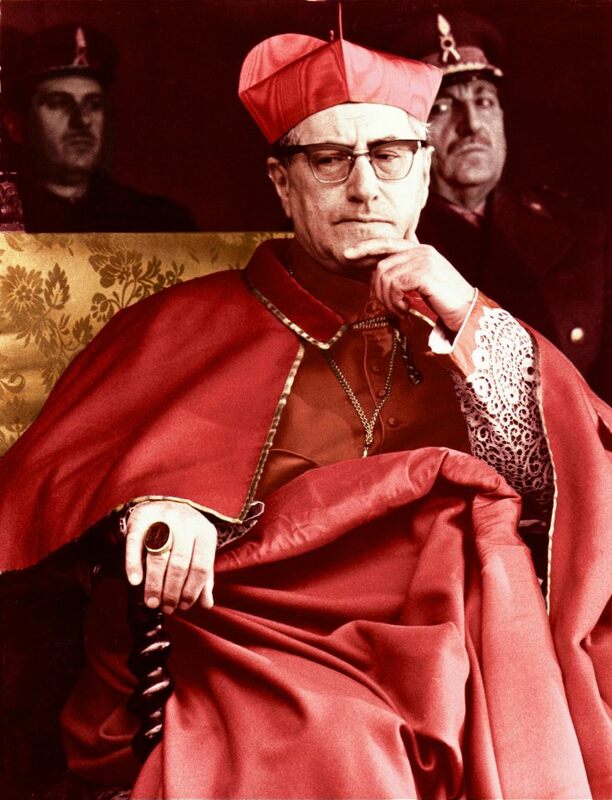 Great Defender of the Rights of God and His Holy Church. 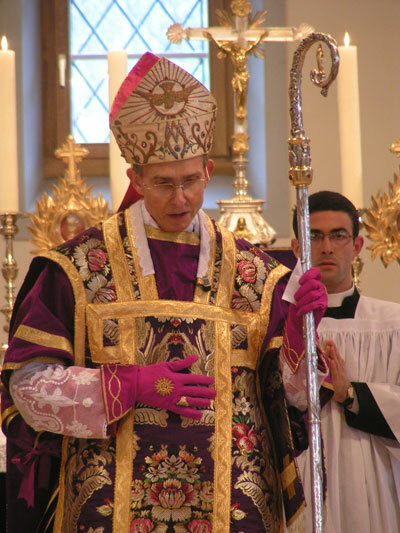 Long live His Excellency, the very wise and courageous leader of the SSPX! 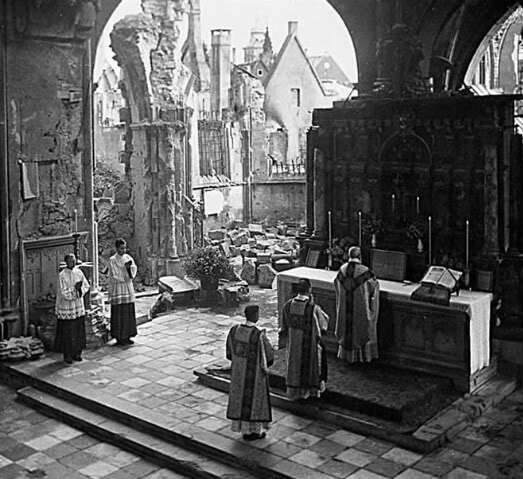 "Their new religion is against the true Mass, and the true Mass destroys their new false religion, a religion without sacrifice, expiation, satisfaction, divine justice, penance, self-denial, asceticism; the religion of the so called “love, love, love” that is nothing but words." 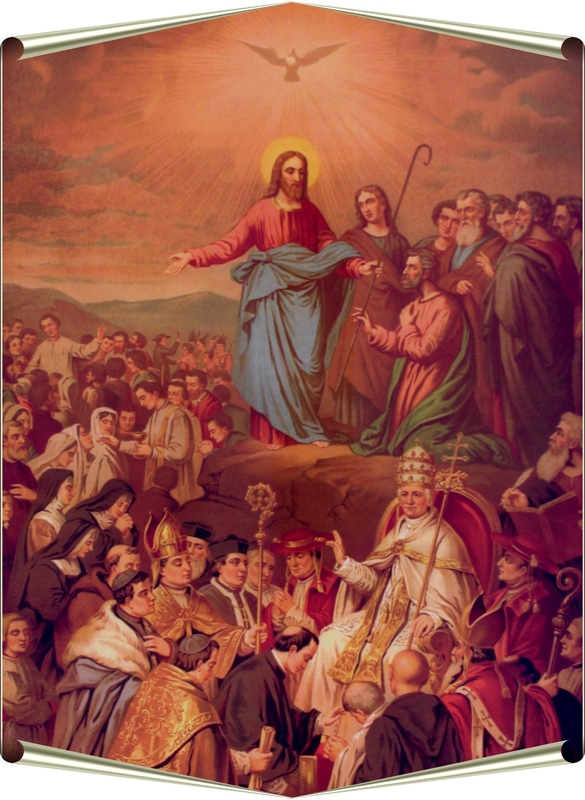 "No salvation, no redemption is possible, neither for individuals nor for societies, apart from the priesthood and apart from the kingship of Our Lord Jesus Christ." Viva Christo Rey! Rise up, knights! 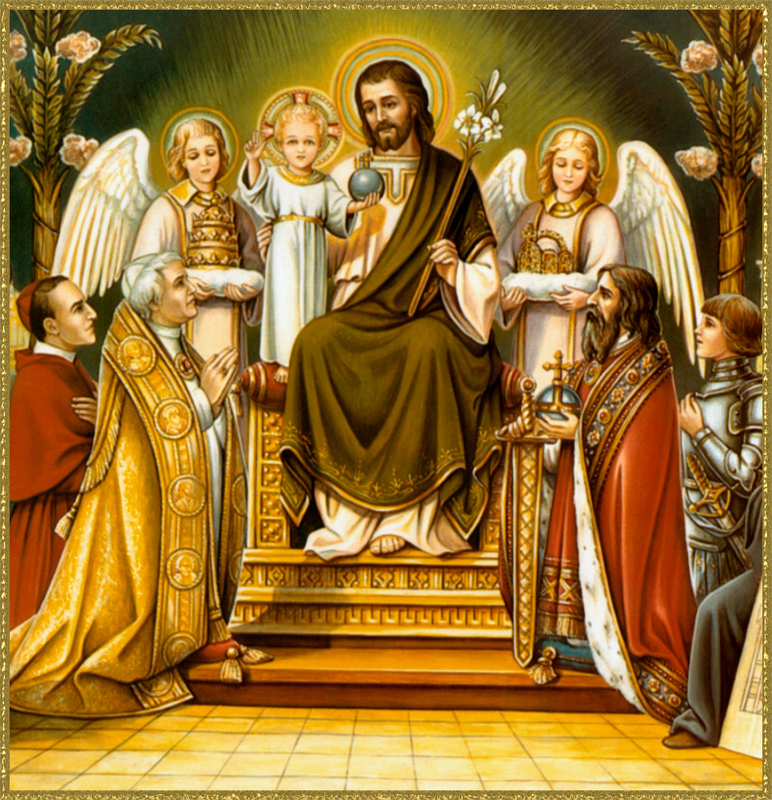 Traditional Latin Mass - Heaven on Earth - Mass of the Saints. 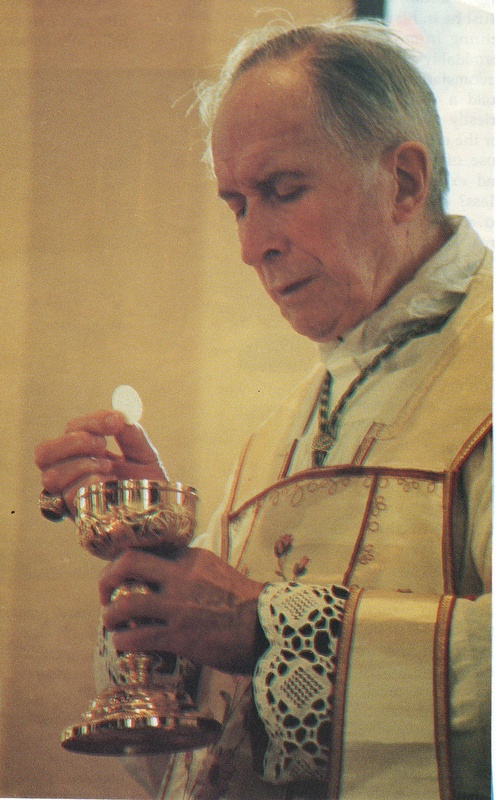 The Mass Archbishop Lefebvre lived and died for. Pray for the Church attacked by Freemasonry. She who will usher us in to the great restoration of the Church. She who wept over the sins of the world and called upon the apostles of the Last Days to fight. Pray that the Pope and Bishops will obey the Mother of God and consecrate Russia. 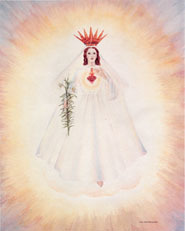 Her Immaculate Heart will triumph. True but abandoned Apparition of Our Lady. Only Apparition with a counterfeit. Protect the unborn from being slaughtered by abortion. Patron of Holy Matrimony and Youth. Protector of the Holy Catholic Church and the Family. Defender of the Church Militant. 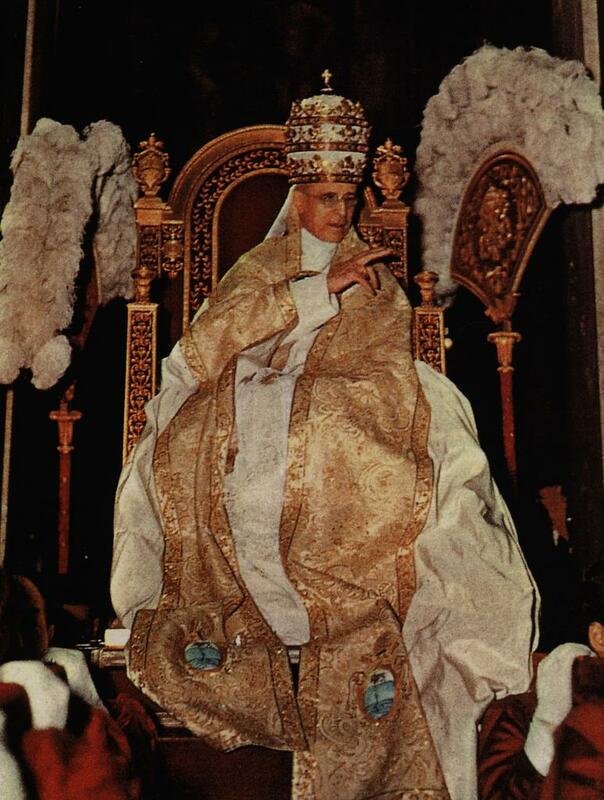 Defender of the Blessed Sacrament, who died rather than allow anyone to touch the Sacred Host. He who fought Freemasonry and saw that the devil would persecute the Church for 100 years. "It is an error to believe that Christ did not teach a determined body of doctrine applicable to all times and to all men, but rather that He inaugurated a religious movement adapted, or to be adapted, to different times and different places." 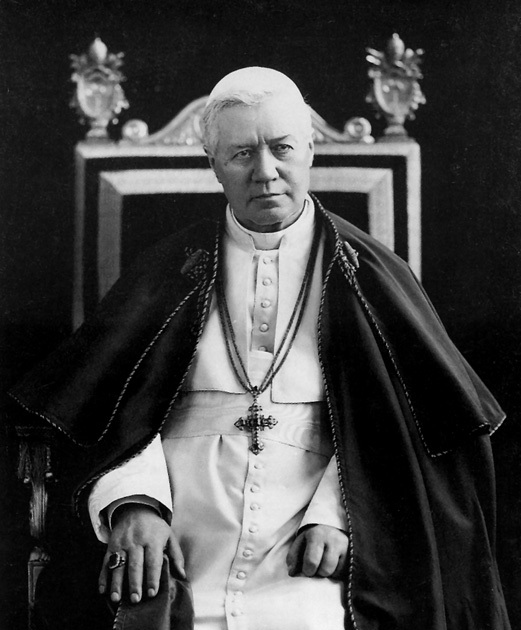 "All the the evils of the world are due to lukewarm Catholics." "Your sons ask for the bread of Faith and no one gives it to them. Ungrateful Rome, effeminate Rome, arrogant Rome. Forgetting that the Sovereign Pontiffs and your true glory are on Golgotha. Woe to you; my law is an idle word for you." 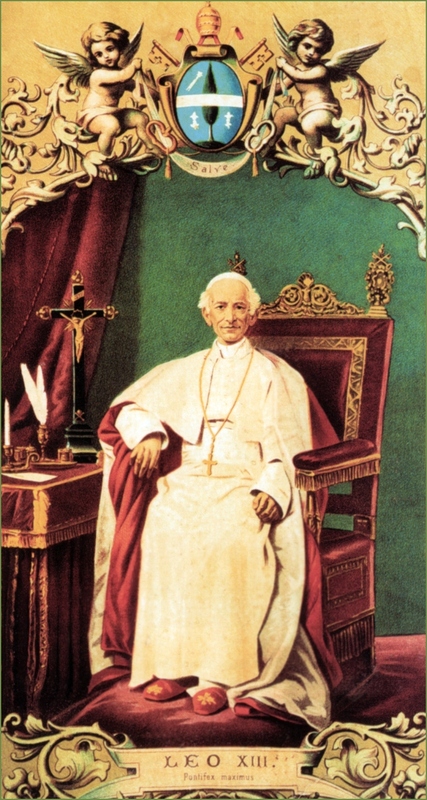 Introibi ad altare Dei. Ad Deum qui laetificat juventutem meam. 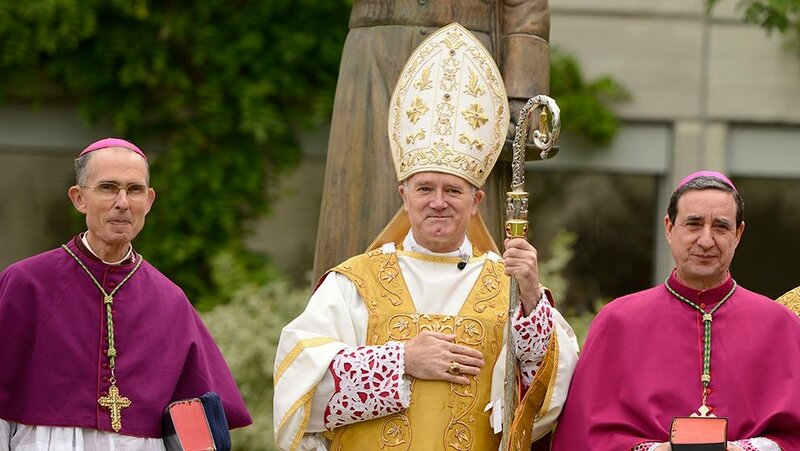 Our Bishops - Passing on the True Faith they have received. 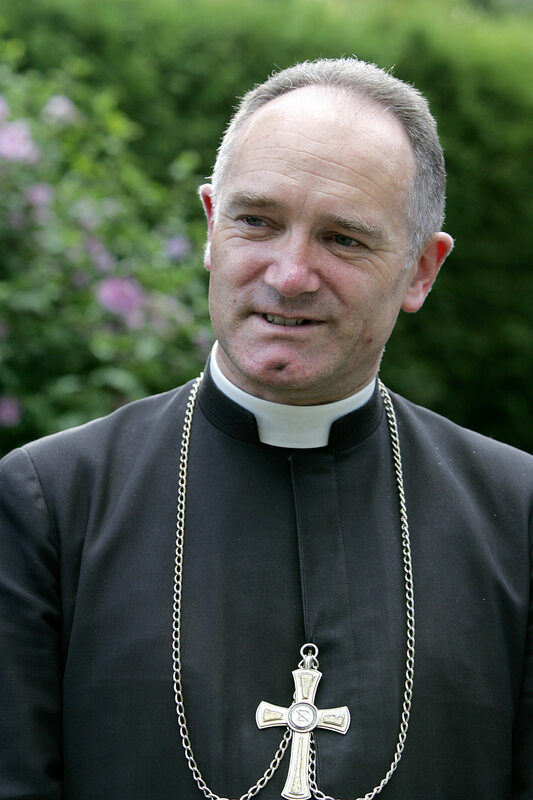 "Oh, how great is a priest! The priest will not understand the greatness of his office till he is in Heaven. If he understood it on earth, he would die, not of fear, but of love." "I will let down a shower of roses." My Patroness. The Little Flower of Our Lord. 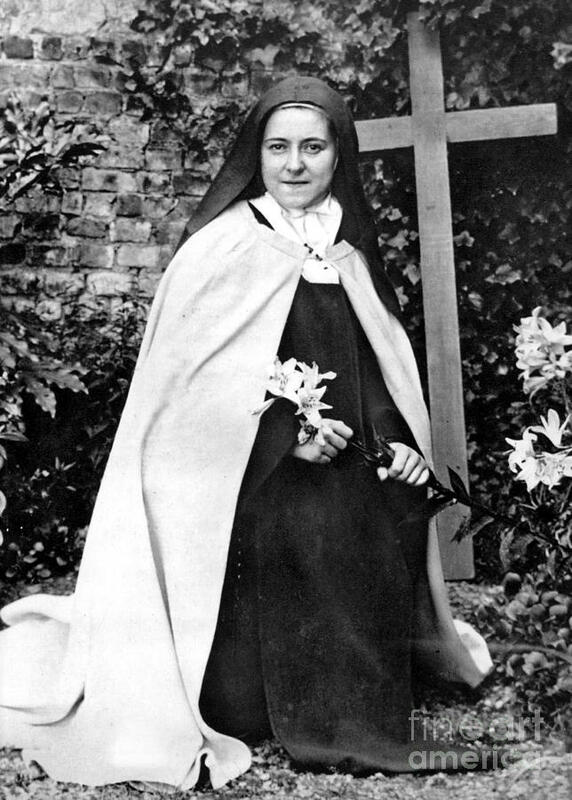 "If the Church were not divine, the Council would have buried Her." Either, you are for God or you are for the devil. Journey of a cowboy's wife and crunchy mom. "Faithless is he that says farewell when the road darkens." Keeping the Faith. Telling the Truth. Non declinavit ad dextram sive ad sinistram. Let us return from that Table like lions breathing out fire, terrifying to the devil! 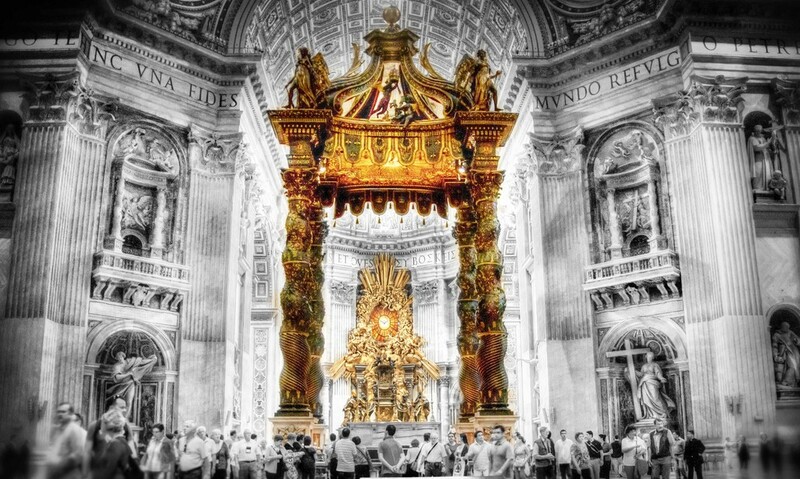 A blog dedicated to chronicling the "Restoration of all things in Christ"
A website for Catholic Theology, Tradition, and Opposition to an insane world.